Zatoun products reflect the essence and rich culture of Palestine helping to connect Canadians and Americans to the people and the land of Palestine. Join Zatoun to benefit vulnerable people, groups and partners in Palestine especially farmers, women and the young. There is something you can do. Zatoun is a learning community – experience, learn and share. Hope is found in the light of learning, understanding and solidarity. Zatoun is a unique project offering fair trade olive oil from Palestine to connect people in North America to the history, culture and challenges of the Palestinian people and the land of Palestine. Started in 2004, Zatoun use symbolic and cultural products from Palestine to raise awareness of a very troubled land desperately needing a just resolution for the sake of world peace. From its earliest days Zatoun has won followers, friends and admirers. Zatoun is a virtual community of caring and awake individuals brought together by drops of olive oil and strands of deeply held beliefs of truth and justice. Invite your friends and family to join also. You are invited to shop wonderful fair trade products selected for their meaning and attachment to values of justice and peace. Likewise you are invited to care for the people and the land by contributing directly to projects and initiatives with real benefits for real people. Finally, you can begin to learn and self-educate on the question of Israel-Palestine – it is not “complicated” there is just lots to know and this is an excellent place to start. Zatoun products are distinctive and of high quality. Produced in Palestine they are welcomed visitors into your home and on your table. To be enjoyed, shared and gifted, these items become favourites as much for their significance as their quality and taste. The olive is what unites Zatoun products and connects us to Palestine. The region is considered the native home of the olive tree and ancient trees deliver olive oil of great taste and of the highest quality. Of the highest quality and fair trade Zatoun olive oil is delicate yet full-bodied with a sweet, smooth taste and a peppery finish. Ideal for a wide range of delicious uses and perfect for gift giving. 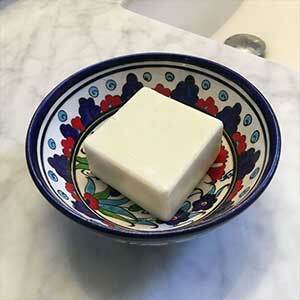 This much-loved olive oil soap feels like silk on the skin! Handmade naturally in Palestine using traditional cold process method. No chemicals or preservatives, Scent-free. Discover the zing of za’atar! A natural companion to Zatoun olive oil, za’atar is made with wild thyme and sumac picked in the hills of Palestine. Versatile and easy to use on almost anything. Zatoun co-founded “Trees for Life” with Canaan Fair Trade and partnered with the Palestine Fair Trade Association (PFTA) in 2006 to help farmers recover from the enormous destruction of olive trees to Israeli settlers and military including devastating losses to the illegal Annexation Wall. The goal is to provide individual farmers with 25 to 50 olive tree saplings to replant or to help start in another location. The program aims to serve farmers in greatest need: farmers who have had trees destroyed or lost access to land; small farmers with not enough trees to sustain their family; farms headed by women who own land or have had husbands killed or imprisoned; young starter farmers who have inherited or acquired land. Sponsorships of 3 olive trees for $20 are available in multiples. Certificates issued.